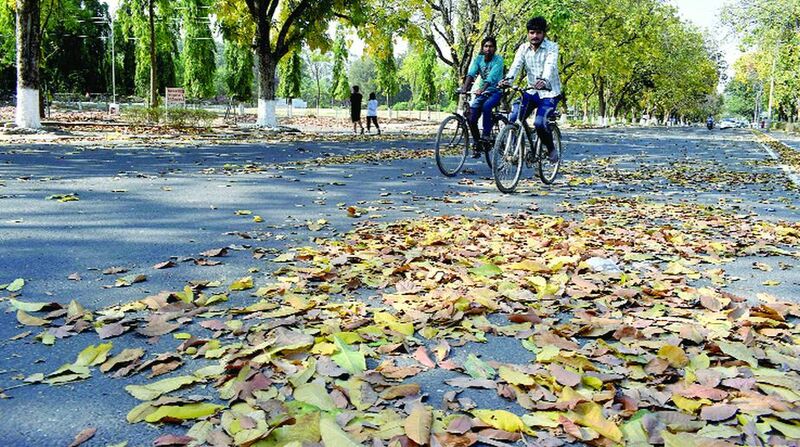 Chandigarh, the City Beautiful, has clinched the third spot in the recently released Swachhta Sarvekshan 2018 (Cleanliness Survey- 2018), but resident welfare associations and Opposition leaders claim that the ground reality is very different. The resident welfare bodies have said that officers of Municipal Corporation Chandigarh (MCC) worked on papers to represent Chandigarh’s case. The Congress, too, said the bureaucracy played a vital role in picking up the third spot for Chandigarh. The city has improved its position from 11th spot in Swachhta Sarvekshan – 2017 to third spot in the same survey this year. Chandigarh Mayor Devesh Moudgil said the City Beautiful achieved the third position with the participation of every resident, civic body officials and concerned workers. He said in 2017 Chandigarh was competing with only 434 cities across the nation whereas in 2018, the MCC competed with 4,203 urban local bodies (ULBs). “We should consider these facts first while criticising the move. We have been working hard to get number one ranking for Chandigarh. It is a matter of pride for Chandigarians that the city has jumped to third ranking from the eleventh spot. I am thankful to the city residents as they responded well to the Swachhta App launched by MCC. I am sure that by 2019 we will achieve the top position in the cleanliness survey,” the Chandigarh Mayor told The Statesman. Chandigarh Member of Parliament Kirron Kher claimed the administration and MCC will continue efforts to maintain the city’s cleanliness and achieve the first position in the next survey. Additional Commissioner Saurabh Mishra admitted that Chandigarh was lacking in waste segregation and the garbage processing plant in Dadumajra is not working properly because of which the garbage is dumped at the landfill site which is overflowing. On the other hand, Chandigarh Congress president Pardeep Chhabra said the BJP-led MCC is misleading the general public as the city’s sanitation has not improved. He said the third position has been achieved only due to the Swachhta App for which MCC employed a large manpower to ensure public participation on mobile phones. He also said that nearly Rs 6.5 crore was spent on sanitation and garbage management system last year but could not yield the desired results. “Though MCC’s move to offer free parking after having Swachhta App in mobile phones was well received by the residents, officials hardly took any steps to improve the city’s sanitation system on the ground,” Chhabra told The Statesman. The chairman of Federation of Sector Welfare Associations in Chandigarh (FOSWAC), Baljinder Singh Bittu, said had the MCC ensured public participation physically the city could have achieved number one position. In June 2017, the MCC launched the waste-segregation initiative by distributing dustbins to city residents, he said. “Green and blue dustbins were distributed in every household and even supplied to the door-to-door waste collectors. Despite spending Rs 2.5 crore, the efforts were futile. For, neither did the MCC hold regular awareness drives nor did it ask the door-to-door waste collectors to ensure segregation,” said Bittu. He said being a planned city, Chandigarh deserved the number one spot. Segregation of garbage should have started from two to three sectors in a phased manner, he added. “Garbage lifting in the city is in very poor condition. A large amount of machinery is required to clean the city. Resident welfare associations should be involved in supervision of development and maintenance works,” Bittu said. The Swachh Survekshan 2018 assessed 4203 ULBs and was organised by the Ministry of Housing and Urban Affairs (MoHUA), under the aegis of the Swachh Bharat Mission (Urban). The exercise undertaken between 4 January 2018 to 10 March 2018 enhanced the scope to cover a record number of ULBs impacting around 40 crore urban citizens across the length and breadth of the country by 2700 assessors. As compared to 2017 where the cleanliness survey was conducted in 434 cities, in 2018 the scope was enhanced manifold. Indore, which has been declared the cleanest city in India was at number 25 in 2016 but improved its position drastically to number one in 2017 and 2018 as well. In the case of Chandigarh, the city was at second spot in 2016, then slipped to number 11 in 2017 and has now managed to improve its position to third spot. As per information, the MCC managed to connect with around 35,000 people with the Swachhta App and used other feedback means like advertisements and interactions with public, residents welfare associations and market welfare associations. The cities were assessed on three main segments and given marks. These were checking of the documents of the civic bodies, Swachhta App and public feedback and physical inspection or verification of various sites.